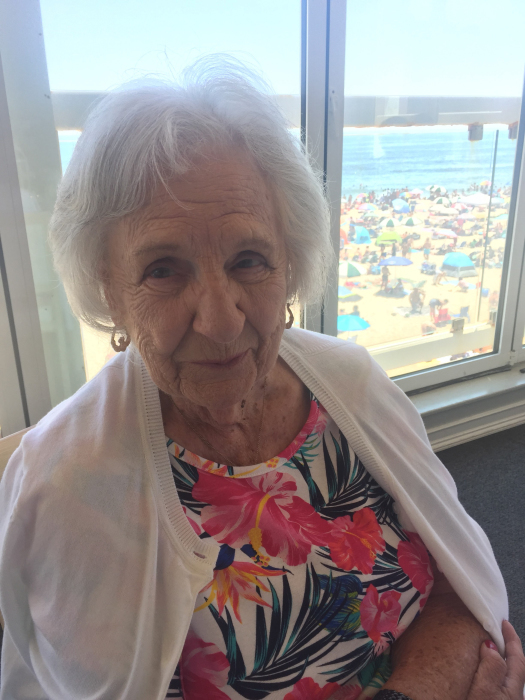 Shirley Kelly, 91, of Jersey City, NJ, passed away peacefully on January 22, 2019 surrounded by her family. She is met in the afterlife by her husband Howard, her dear son Patrick, and her cherished grandsons Dominick and Joseph. Shirley is survived by her five daughters: Gail Kelly, Linda Della Fave and husband Dom, Cathy Duffy, Cheryl Belanger and husband Donald, and Doreen DiDonato and husband Joe. Shirley was not only a devoted and loving mother, but also delighted in being “Nana” to her 12 grandchildren and 16 great-grandchildren. She was the core of her family and was affectionately known as “The Queen”. Shirley worked over 17 years as Head Supervisor for Howard Johnson. She was known for her knitting and crocheting, and the miles of beautiful blankets she made that had love in every stitch. Visitation will be held on Sunday, January 27th from 4:00 to 8:00 PM at The Riotto Funeral Home & Cremation Company, 3205 John F. Kennedy Blvd., Jersey City (for GPS navigation, it is best to use parking lot entrance address 14 Stagg Street, Jersey City). The Funeral Mass will be held on Monday, January 28th at 10:00 AM at St. Anne’s RC Church, Jersey City. Interment to follow at Holy Cross Cemetery, North Arlington.